NH Flashback! The Oak Ridge Boys sing Leaving Louisiana In The Broad Daylight on The Dukes of Hazzard (1981) - Newhillbilly website. 100% American Roots Music. "Leaving Louisiana in the Broad Daylight" is a song written by Rodney Crowell and Donivan Cowart. The song was initially covered by Emmylou Harris (in whose band Crowell had played during the late 1970s), who included it on her 1978 Quarter Moon in a Ten Cent Town album. 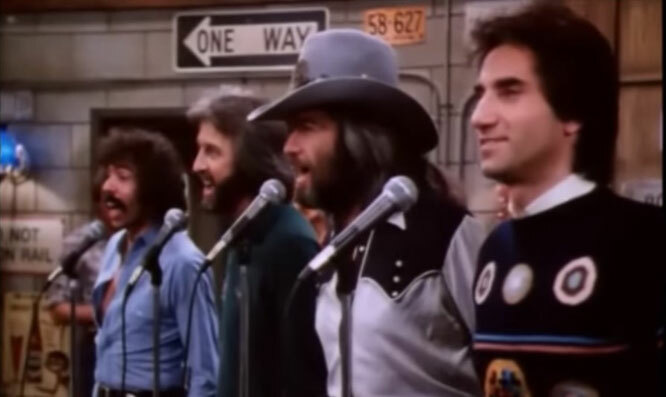 The Oak Ridge Boys released the song in December 1979 as the third single from their album The Oak Ridge Boys Have Arrived. "Leaving Louisiana in the Broad Daylight" was The Oak Ridge Boys' second number one country single, remaining at number one for a single week, and spending a total of eleven weeks on the chart. The single was performed by the band on the 1981 The Dukes of Hazzard episode "State of the County". In addition to their awards and accolades in the country and pop music fields, they have garnered five GRAMMY® Awards and twelve GMA DOVE Awards as well as the Mainstream Artist of the Year Award at the ICM Awards. 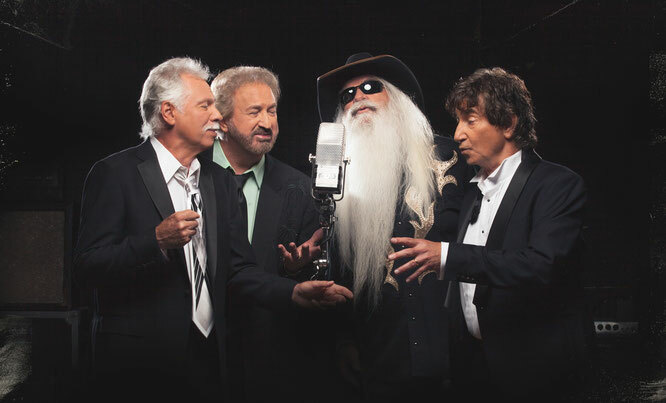 The group—Joe Bonsall, Duane Allen, William Lee Golden, and Richard Sterban—have earned prestigious membership in the Country Music Hall of Fame (2015 Inductees) and Grand Ole Opry, and are known worldwide as one of recording history’s most extraordinary musical successes. They have charted single after single and album after album, celebrating one double-platinum album and one double-platinum single and more than 30 Top 10 hits, including No. 1 chart-toppers “Elvira,” “Bobbie Sue,” “Thank God For Kids,” “American Made,” “Y'All Come Back Saloon,” among dozens more.